At the end of my first year at my first K-8 school, the first grade teacher approached me as she concluded a conversation with another teacher. She said, "you, too, you know. You shouldn't smile before Christmas either." It's an old adage, "never smile before Christmas." The idea is that you instill fear in your students in an effort to demand respect. Me? I simply post my rules in my room. RESPECT. I ask for respect. I give respect. I expect my students to respect me, the classroom, their classmates, and themselves. I have used clip charts and other methods. It depends, to some degree (now), on the grade I am teaching. I expect respect and I give respect. 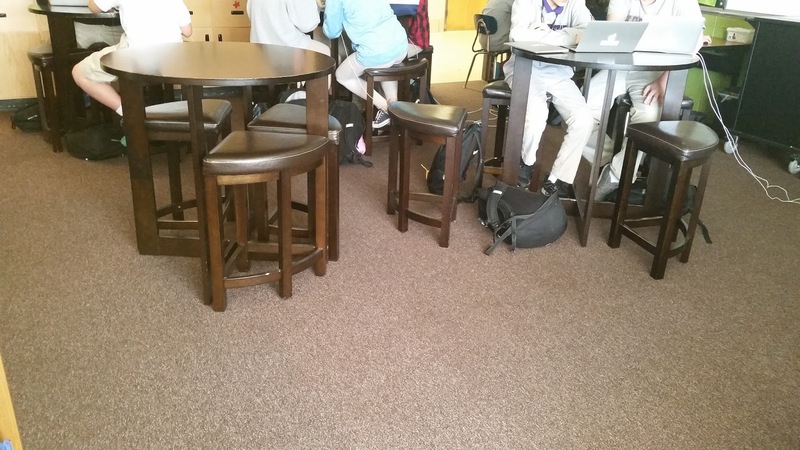 The idea is that my classroom and the school in general is a place that requires respect. I believe firmly that if a student respect him or herself then that student will be able to show respect to his and her classmates. But, I admit. I smile before Christmas. In addition to building a culture of respect, I also believe firmly that I should build rapport with my students. To do that, I need to smile before Christmas. You see, I am a generally happy and respectful person. If I expect the same from my students, then I should show them that part of who I am and who I strive to be. I smile before Christmas to build rapport. I want to know my students. I want my students to know me. I want so share music with them. I want to know what ways in which I can reach them beyond the curriculum. I want to know how to best meet their needs. Don't smile before Christmas? Ha! I once considered joining the United States Army. I went to a day where I learned a great deal about what I would be doing in the Army. I spent a day not smiling. At the end of it, I struggled. My friends wondered what was wrong with me. When I finally cracked a smile, it hurt. I didn't like that feeling. I am a school teacher, not a drill sergeant. I want my students to enjoy school. I want them to develop a love for learning. I want them to want to come to school. And so, I build respect and rapport side-by-side. In doing so, I smile, even if it is before Christmas. If we spend only half a year being human with our students, then we miss out on something. At the very least, we miss out on half of the year. And so, I smile before Christmas. There are days when it is a struggle. Yet, I smile. To build that rapport means that I will smile and so will they. Perfect in my imperfections, I smile before Christmas. And, so should you. Your students, my students, our students deserve our best selves. And so, I smile. Sometimes, they smile too. In the Voice of EduAwesome Adventure, the #EdTechFamily comes together and shares thoughts on different topics of interest. In this episode, we discuss what we would take on a trip if we could take only two items (one tech, one non-tech). What are your two must-have items when traveling? Listen to "#Edtechfamily Talks Tripping Items" on Spreaker. As educators, we are always looking for new and different ways to teach our students the skills they need and will need once they reach "the real world." As curricula continue to develop to make things such as math more real world applicable, we can continue to build our ideas. We do hear when people say things such as, "will you teach real skills such as creating a budget and balancing a checkbook?" One lesson I developed for the 2016-17 school year included math skills from multiple chapters from within our chosen curriculum and gave students a chance to apply those skills. I assigned my Pre-Algebra students an investment project. 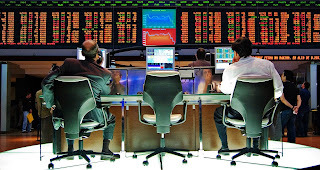 The first piece of the project included researching the Down Jones Industrial Average, NASDAQ, and the S&P 500. I created a Google Doc in Google Classroom for the students to see the steps outlined for them. You can see that here. Once they built a foundational understanding of the markets, students began working with their imagined $10,000 budget. 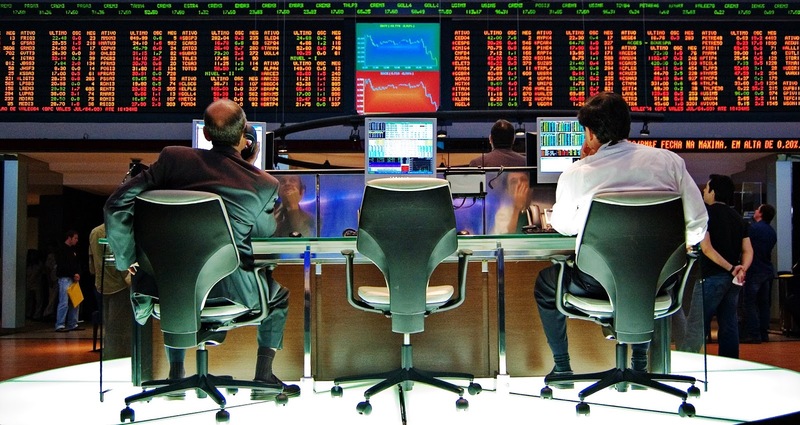 They needed to research different stocks and then determine which ones they would select to invest in and then follow them for two weeks. Students needed to keep documentation in a Google Sheet. I created a bare bones Google Sheet that I also attached to the assignment in Classroom. The idea was that this Sheet would give them a jumping off point, but they would need to fill in blanks and add additional fields to complete the expected task. You can take a look at this here. 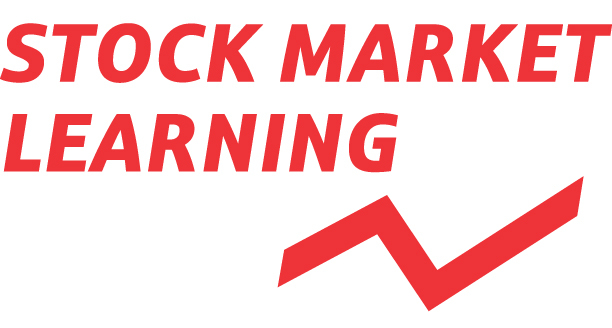 Next, students were to write a summary sharing what they learned about the stock markets, what factors seem to impact changes in stock prices, and give a general overview of their learning. The last step included creating a presentation in Google Slides to show how their stocks performed. They then presented these in class, in a sort of meeting of investors. This final step (the actual presentation) is the step I hope to develop more for the year ahead. I hope for it to have more of a Wall Street feel rather than "just another classroom presentation" feel. The majority of the class met my expectations and I was pleased with their ability to look at interest rates, fluctuation in stock prices, and the ability to calculate the rates of change for their investments. While they worked on their investment projects, we covered additional material, specifically percentages. For example, we calculated tips. The Investment Project can be developed differently, adapted, and changed to fit the needs of different classes, different students, and different circumstances. I believe firmly in constantly updating and improving lessons and projects, just as I do for my PD presentations. As I wrote about yesterday, we can teach some very important life skills to students by taking them out and introducing them to things such as public transportation. What if we took it a step further? We can also build budgeting skills into a transportation trip or create an "imagined" vacation opportunity to also flex their budgeting muscle. Adapt the tools from the above Investment Project: Google Doc, Sheet, and Slides. Outline for students what types of public transportation they will be using. Give them the websites to get fare information from those sites. 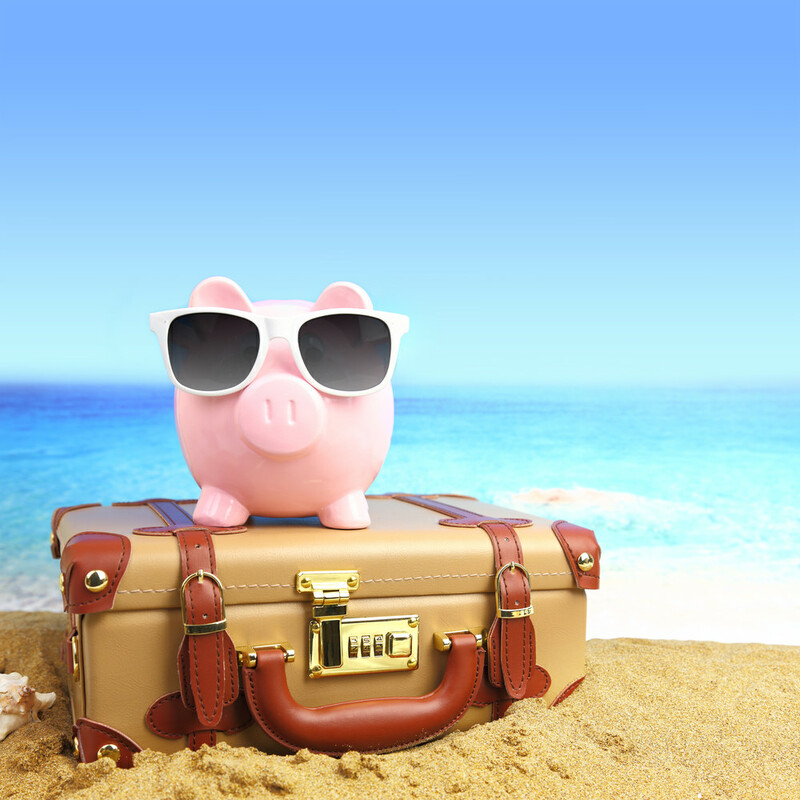 Ask the students to create a budget for the trip. They will look up fares for the different modes of transportation, as well as budgeting for activities around the use of these modes of transportation. Perhaps they want to go to a baseball game, a play, or an amusement park. Perhaps they will make it a shopping day or keep it simple with lunch out. Students will need to come up with how much each person will need to budget for the trip and justify the expected costs. Along with this, they can also look up time tables and create a time budget. What time will they leave? What time will they return? How much time do they have to get from the train to the subway, for example? Again, adapt the tools from the above Investment Project: Google Doc, Sheet, and Slides. Give students a budget: $500, $1000, $2000, or whatever seems reasonable for your expectations for the assignment. For this vacation budget, they will need to look at planes, trains, and automobiles. Again, they will look at fares and schedules/time tables.. They will design the vacation and the related budget, including activities for the trip and duration of the trip. How many people will go on this trip? If the budget for one person or for their entire family? Students can then use Google Slides to present their vacation plan in a sort of travel agent role. Once all vacations have been presented in the class, students can complete a Google Form sharing which vacation they would choose and why. Budgets will be submitted for review, as well. This combines a budget assignment with a travel project I had students do in seventh grade science a few years ago. Be a travel agent and sell your classmates on your proposed trip while also working on developing skills in budgeting. A school I worked at previously takes a trip to San Francisco every year to see a play. The eighth grade class uses both Amtrak and BART. The school I work at currently does a transportation trip. The eighth grade class uses Amtrak, BART, a cable car, and a ferry. I added a pedi-cab to my list on the trip this year. It was a first for me and so worthwhile! 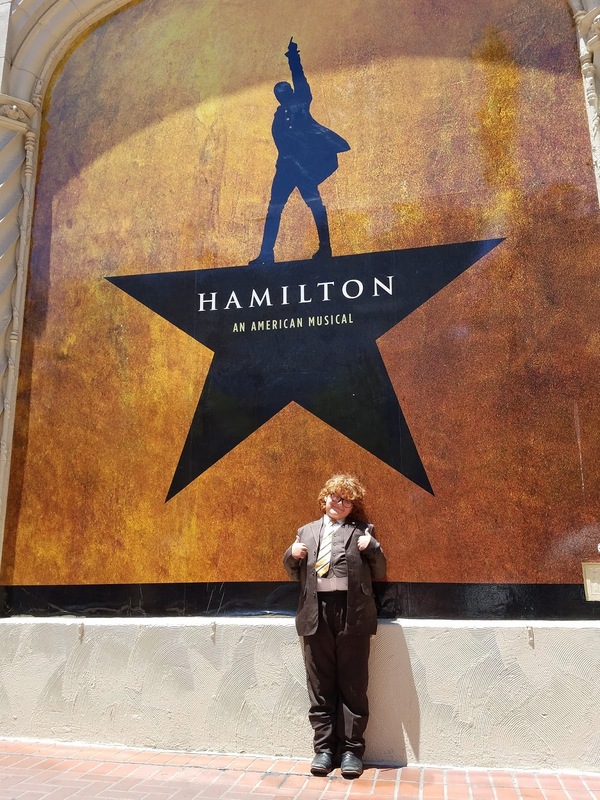 Recently, my 10-year-old son and I headed into San Francisco to see a show. We drove partway then used BART. At the BART station, he said, "mom, let me show you where we need to go." A few days earlier, he had gone with his Tio into the City for a Giants game. They used BART, so now he feels he has become an old pro and is happy to show others what to do and how to do it. 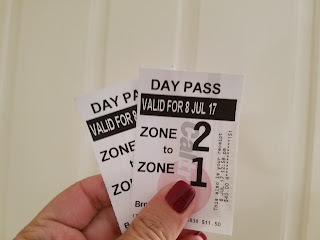 Most recently, my two children and I used CalTrain to get from South San Francisco to King Street. It was worth every penny for the ability to sit back and relax. These are among some of the very important life skills young people need to learn. Not all of them will get it at home, though some will. Eighth grade is a wonderful time to explore and teach public transportation. While the San Joaquin route for Amtrak will remain in place for now, there are several routes potentially on the chopping block if proposed budget cuts are approved and implemented. This is unfortunate. I hope that Amtrak and other modes of public transportation will remain available. In fact, I would like to see more of them. I saw recently that the ACE train will offer service to Modesto as part of a planned extension of service. What a great thing for this part of the Central Valley. I also enjoy introducing students to our National Parks. I do this with virtual hikes, among other tools. If you're keen on digital BreakoutEDUs, check out this one on our National Parks. It's fabulous! We are halfway through summer and our travels have only just started, but we are off on adventures and have discussed some ideas to make our experiences better, but also ideas to share with others in hopes we can help them enjoy their own adventures. These adventures may be family vacations, class field trips, or learning adventures. Heck, they may be all three rolled into one. My grandfather would question my choices sometimes, but he eventually understood them generally and any time I could figure out a way to save some money, he would support it. The only one he never agreed with me on was my decision to rent a car on one of my trips to visit him. There was a trip where he supported my decision to rent a car, too, though. I travel to conferences and I travel with my children. It just makes good sense to have one help the other. I have joined rewards programs for Southwest Airlines (Rapid Rewards), Dollar Rental (Dollar Express), Days Inn (Wyndham Rewards), and my very favorite of all Hilton Honors. Every time I travel, I earn points, save money, save time, and find myself happier with the overall experience. Rapid Rewards with Southwest and Hilton Honors are the two I use most and have, as a result, benefited from most. I only fly once or twice a year on average. but it adds up eventually. I have now twice used points to save on my airfare. I also appreciate the ease with which I can work with Southwest. When my grandfather died a few years ago, I had planned a trip to see him and instead that trip became a one-way trip to help my parents. Southwest was gracious and kind to work with in changing my travel plans. We worked everything out over the phone and there were no penalties. I can fly Southwest most anywhere I want to go or need to go and they do not charge for my checked bags. Their app is pretty fabulous too. 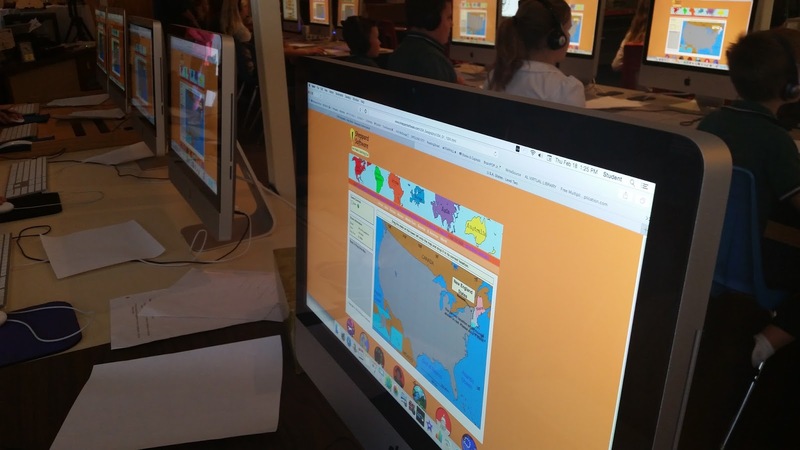 As a tech-loving teacher, finding an app that works with relative ease is important too. I love that I can fly into Ontario Airport, rent a car, and drive to Palm Springs for the CUE National Conference. It saves me some money overall and the drive is beautiful. Side note: my two favorite airports to travel to and from right now are Sacramento and Ontario. Ontario is much easier to travel through than LAX. I do stay in hotels several times a year. Last year, I stayed so much I earned my way to Gold status with Hilton Honors. This is a huge plus. This allows me to take advantage of additional perks here and there. Everything from little snacks to bonus rewards points to full breakfast. We have stayed at one hotel in particular so much that we have gotten to know people at the front desk, as well as some of the servers and managers in the restaurant. We treat them with respect and they always go above and beyond to make sure all of our needs are met. Because of that, we return to the same hotel whenever we need a place to stay in the San Francisco area. I have become better versed with how to shop for deals on rooms and I always book directly through Hilton, using my Hilton Honors information. If I don't find exactly what I am looking for on the website then I call the corporate number and if I still don't quite get what I am hoping, then I know I can call the hotel directly and often they are incredibly helpful. By streamlining my preferred choice of air travel, rental cars, and hotels, with each trip, I am saving up toward future travel. This means my travel for conferences helps my adventures with the kids and vice versa. I view my traveling for conferences as an investment, but really, I am investing in several ways. One, the obvious, I am investing in future travel. Two, I am investing in myself as I continue to grow as an educator. I learn from others, collaborate with other educators, share some of what I know, and ultimately our students benefit. So, the third investment is the investment I make in my students and students elsewhere. Four, I see all of this as an investment in my own two children. We have started our #EdTechFamily podcast where we share ideas from a parent/teacher perspective as well as a child/student perspective. We grow together as lifelong learners. Benjamin Franklin is quoted as saying, "Tell me and I forget, teach me and I may remember, involve me and I learn." This is my approach both in my classroom and in my home. We are all on this learning journey together and the investments I make in our travels keep the learning going. The perks of being a rewards member for airfare, car rental, and hotel stays are all nice. But there is so much more to see in the world. When we get outside, we learn so much! My children and I enjoy camping trips throughout the year, including at the NorCal Renaissance Faire in the late summer/erly fall. We also enjoy hiking. Sometimes I invite students and families to meet us on hikes and sometimes I record the hikes to take back into the classroom for different activities. Last week, we added a new hike. We visited Point Reyes National Seashore. We stayed in a lovely little cottage about 15 minutes from the Bear Valley Visitors Center. My kids worked on adding another Junior Ranger badge to their collection and we enjoyed a short hike on the Earthquake Trail. This trail features information on earthquakes in general, the San Andreas Fault, and the 1906 earthquake. We saw where Point Reyes shifted about 20 feet as a result of the 1906 earthquake. The kids took turns reading the information posted around the trail. This trail offers just one of many hiking opportunities in Point Reyes. We returned to our cottage and enjoyed a light lunch outside before setting off on the next adventure. This time, we left the car behind and walked a short distance to Chicken Ranch Beach. A nice trail leads from the road to the beach. We took off our shoes and enjoyed the sand between our toes, though this beach has some pretty rocky parts to it as well. Those rocky parts don't feel so nice on the bottoms of your feet. Still, we dipped our toes in the water, observed interesting shells and rocks, taking only photographs and leaving everything behind for others to discover. As we learned back at the visitor's center, Point Reyes has igneous, sedimentary, and metamorphic rocks. We discovered a rock on the beach that had quartz and obsidian in it. When we finished on the beach, we made the return trip back up the trail to the road where we made observations of interesting growths such as lichen. When we returned to the cottage, we made a quick and easy dinner. The cottages at Point Reyes offer a nice, relaxing place to stay. We enjoy cooking our own meals and appreciated having a kitchenette. Though it was a little more "bare bones" than we expected, we managed to make our meals and enjoy them just fine. Though, all three of us could shuffle those rankings on any given day. I factored in the drive for mine which is the only reason Lassen ranks lower for me. I shuffled my list multiple times. The nice thing with all three of these adventures is that they all offer something unique while all having something in common that we three love: geology! We will return to all three, but since we have already done two trips each to both Pinnacles and Lassen, we have set Point Reyes to the top of our list for next summer. What's the tip here? Find something you like, find a place that offers it, and take that adventure. Also, never stop learning. Learn with your kids because it is fun. Learn for yourself because you can. Continue learning always! Take the trips and treat them as investments. Trust me, it is all worthwhile. Whether you are hiking a new trail or watching a baseball game, get out there and make the investment. Remember the words of Socrates, "Education is the kindling of a flame, not the filling of a vessel." The musical "Hamilton: An American Musical" caught on unlike anything I remember. I know getting tickets in New York proved difficult, then getting tickets for the touring production seemed difficult, and expensive, as well. The music is catchy. Even those who don't necessarily care for rap, find elements that they like. It has something to catch attention of young, old, and middle aged folks as well. The highlight as an educator, of course, is that it can catch the attention of young people. In that, it can help spark a special interest in history, specifically, a very important time in United States' history. Lin-Manuel Miranda has written about seeing the multiple generations in the audience. He wrote something great that can be used an exceptional teaching tool. How many of my fellow educators have heard students claim, "I hate history. It's so BORING!"? Perhaps it is less the subject than the manner in which we teach it. We can get students excited about history. Now more than ever, I find it important to hook students on history. We need them to learn the people and events that brought us to where we are today. As I shared with students throughout the 2016-17 school year, our nation's history begins not with the Declaration of Independence in 1776, but has roots back into ancient civilizations. I made connections for the sixth grade class, pointing out key elements that will connect to their learning in eighth grade U.S. History and referred back to sixth grade historical topics with my eighth graders. It builds and builds. One way that we can hook our students and make history interesting is to draw on music, theater, and promote creativity. Throughout our study of the birth of our nation, I worked in songs or parts of songs from "Hamilton." 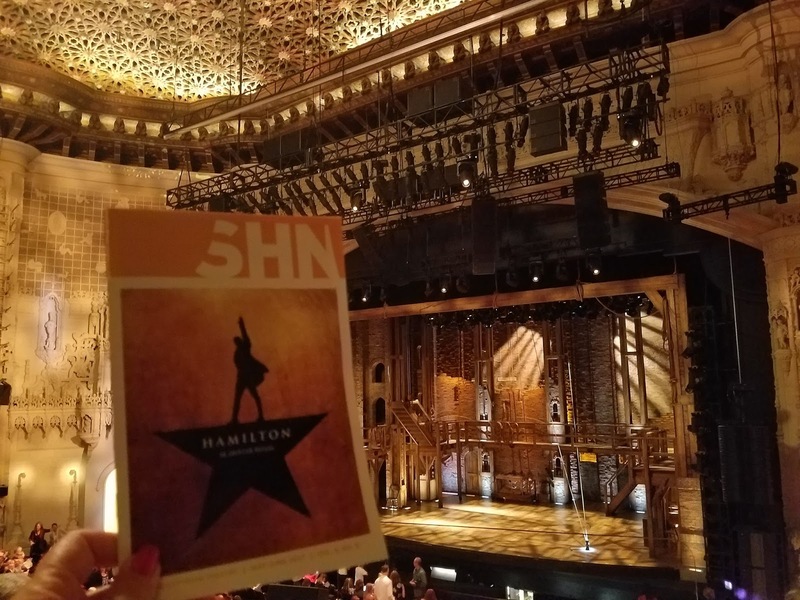 Admittedly, even I know the musical better and some of our nation's history better than I did at the beginning of the school year (and I was a political science/history major). Looking back at how I used it last year as I look ahead to the 2017-18 school year, I already see ways to use it more and differently. We talked about the American Revolution. We looked at key figures in the birth of our nation. We discussed the location of our capital. We talked also about the establishment of our financial system. We could really dig into so much using music as a hook. That may be some of the obvious ways to use it. I will now look at a couple of ways to reach beyond history lessons. "They'll tell the story of tonight"
Toward the end of the year, we used "Hamilton" as part of our History Alive performance. Our school does an annual dinner and sixth, seventh, and eighth grade classes each do a performance. Historically, the eighth grade class did a Colonial dance (specifically, the Virginia Reel). I knew coming into the school year that I wanted to do something with the students using "Hamilton" and knowing that we had the History Alive dinner to look forward to, I saw a golden opportunity for awesomeness. I started talking about it early in the year to get the students thinking about it. I had ideas for choreography in my head early on, but waited to really work on it until closer to the event. This allowed the students to invest some of their own ideas into the development of their performance. The students started with the traditional Virginia Reel then transitioned into their version of a "Hamilton" number. Admittedly, I found myself feeling a little nervous about how it would all come together during rehearsals. Yet, I could see how it would come together and then, it did! It came together beautifully! These 15 eighth graders did an outstanding job. I was so proud of the performance they did and they definitely were telling the story of that night. I have already started looking ahead to next year's. Yes, it will be a little different than this year's. Your school may not have a History Alive night, but using classical dances and songs from "Hamilton" can offer your students an opportunity to immerse themselves in a creative outlet that supports some of their learning. Have a class party and do the Virginia Reel. Assign students different songs from "Hamilton" and encourage them to choreograph their own performances. Assign students songs to present as speeches or even rap if they feel comfortable enough doing so. Or, nudge them slightly into that area where the magic happens, just outside of their comfort zone. I assigned students to different sides of a debate then they had to debate the issue in class. They had to be familiar with both sides of the argument because I would not tell them which side they had to debate until the day of the debate in class. This is an area I am looking to make a change for next year. Using the Cabinet Battles for inspiration, I plan to assign students to a side of an argument then have rap battles as debates. You can use this musical as a foundation for language arts assignments as well. Having used "Hamilton: An American Musical" throughout the year, I developed an end of year project for the eighth graders using it as the foundation. I called it the "Legacy Project." Students looked at their years at our school, specifically their final year to examine what their legacy at the school would be after their departure. They also wrote about their hero before getting into their story of how they would be heroes and who would tell their stories. This project included an essay and a WeVideo project. Students looked at their own heroes, but also turning to reflect on themselves and their own stories took some effort. They produced some good work and then shared their projects with the classmates. Next year, I will combine this year-end project with something I did a couple of years ago: "Through the eyes of an eighth grader." What does this mean exactly? I will give the students a year-long assignment to take photos and videos throughout the year in order to capture the year through their own eyes. Then, that will all be built into their legacy projects at the end of the year. It will, of course, include small deadlines throughout the year. I greatly look forward to seeing how and what the students do with this. For now, I'll have wait for it. What I saw happening was nothing short of magic. I saw students evolve from "history is boring" to wanting to learn more. I saw students invest time into learning more simply because they wanted to learn more. They sought out more information on historical figures that have less prominence in the history textbooks. Seeing this with my students was exciting. 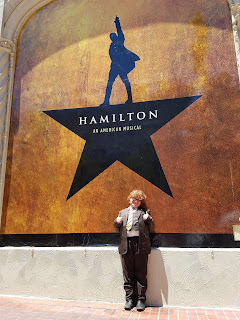 I also saw it as a #TeacherMom as my (now) 10-year-old son can tell you more than I could have at his age about American Revolution battles, military leaders, the financial system development, Alexander Hamilton, Aaron Burr, and Thomas Jefferson. I knew Burr shot Hamilton in part because of a "Got Milk?" commercial and only learned about Lafayette later. My son can recount details and has now plans to read a biography on Hamilton as he gets ready to start fifth grade. "Hamilton" can be used across grade levels. Use it with older elementary students, use it with middle school students, use it with high school students. Explore it and find how it works best for you and for your students. And, like a British canon: BOOM! What did I miss? How have you incorporated "Hamilton" into your teaching, your lessons, your projects, your classroom? Please note: "Hamilton: An American Musical" includes explicit language. There is a clean version of the soundtrack available if you prefer. Become familiar with the soundtrack before incorporating it into your teaching and use your judgment on how best to use it with your students. 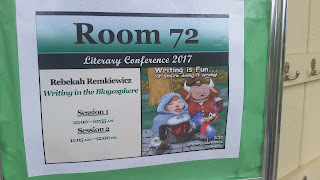 This morning I am presenting to groups of wonderful middle schoolers who have an interest in writing, specifically, those who want to start blogging. -To create crafts and Theories for your favorite fandom K.O. - to collab with friends and write. 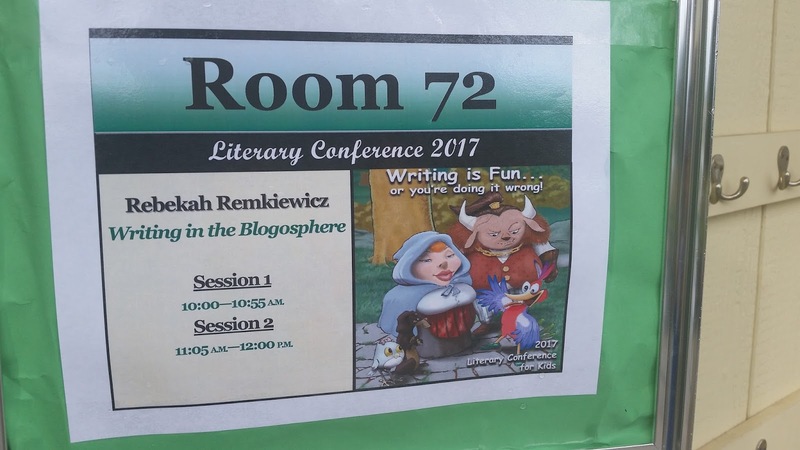 - L. W.
Published Sunday, February 5, written during the 19th Annual Lit Conference at Hickman School on Friday, February 3. I am in the process of conducting some independent information gathering regarding pacing guides. It comes up as a topic of discussion with other educators from time-to-time. I find it fascinating and I am interested in different perspectives on them. Please take a few moments to complete this form, and please consider sharing it with others as well. I am the daughter of educators. I am the granddaughter of educators. I am the niece of educators. To become an educator, I had to leave the journalism field. I had to go back to college. I took my BA and I expanded on it. I worked as an adult educator first. I was proud of my work. I taught adult students ESL (English as a Second Language) and Citizenship. I had students from Latin American countries, but also from India. I celebrated as students met with success in achieving their goals of becoming citizens of this great nation. Some celebrated smaller victories of developing their English Language skills. As I worked both as an adult school teacher and in an SDC (Special Day Class), I took exams and started additional coursework to become a fully credentialed educator. Educators are special, unique people. Whatever your political beliefs may be, I ask you to set them aside, if only for a moment. Whatever side of "the aisle" upon which you may fall, if you say that the education system is the worst part of the United States, I will feel hurt. I will take it personally. Then I will tell you why I disagree. I love what I do. I love, deeply, the students with whom I am graced the privilege to work with and I am thankful for each and every day I have to work with them. I find inspiration in my parents, grandparents, and other family members who have worked as educators. I also find inspiration in the educators who were charged with my own education. I find inspiration from fellow educators. I find inspiration from my students, as well. I take a few days a year and I go out and learn more. Sometimes, I share what I do that works, too, in hopes of inspiring other educators. To become an educator, we must complete coursework and student teach and develop ourselves as lifelong learners. We must commit to learning more. Always and forever. An educator is a very special, committed person. We are imperfect human beings who strive to do our best to form the future, to educate the future, to guide the future We boldly go where others will not. I strongly encourage everyone to always look for the best and see the most EduAwesome in all educators. We do not go into this field for any reason other than to educate the minds of our future. With the amount of time and preparation we put into becoming who we are and developing what we do, the least we can ask is that those who lead us do the same, or similar. What do you hope for, look for, and seek in educators? I urge you to consider what is actually happening in classrooms and consider the learning that is enhanced by good educators. If you have concerns or questions about the "education system," please consider that you are likely concerned with non-educators creating policy for educators and students. We need to examine closely those who are and whether or not they should be creating policy. Educators can go into their classrooms and apply what they have learned, what they know works. Anyone who has not spent time in a classroom will certainly have difficulty defining what works and what is in the best interest of our students. I am an educator. I am an educator who grew up assisting in my mom's classroom, who had table conversations about what worked and what didn't. I sat with an administrator at one end of the table and a teacher at the other, so discussions included more than one side to each argument. However, the bottom line was always about what worked best for students and why. I am an educator. I stand with other educators. I am an educator and I work with an amazing, diverse group of colleagues. We may differ in approaches here and there, but the bottom line is this: we are committed to our students. We are committed to our future. We are educators. And we have done, are doing, and will do wonderful, beautiful things for our future generations. So, before you question the education system in the United States, please remember that you may know an educator who is doing their very best by your student. When you criticize education, you are criticizing educators who worked hard to become who they are and who work hard every single day. A new year means time to try new things. One of the things I love about working in education is that we actually have two different "new years" to celebrate. We start with the newness of a new school year starting in August. We begin with new students and sometimes new classes to teach. Let the adventures begin! Then, we get the new calendar year starting in January. Returning to school following a break of two weeks or so, gives educators another chance at starting something new and trying new things. I enjoy using the breaks to find renewal and fresh inspiration. A real world math lesson with "G Suite"
Returning to school following the two week break, I wanted to bring in something to really hook my math students in particular. It makes the students work and helps them learn, while easing them back into the routine and offering them some fun in their learning. I developed a project for the Pre-Algebra class to help them work on some real-life skills, develop some skills using Google Apps, and work on their math skills. I presented them with a task: "you are part of a team designing a marketing plan for a business." The students got into groups of four and each group first had to come up with a business name and a product or service. They then had to develop a marketing plan with a budget of $25,000. The marketing plan needed to include one print advertisement which they would design in Google Drawings. The marketing budget was to be written and organized in Google Sheets. They will present their marketing plans in class next week showing their budgets, explaining how they reached the numbers they did, and justifying their marketing decisions. After each group presents, students will complete a Google Form and I will review the responses. Each student will independently complete a form, rank the marketing budget presentations, explain what they would do differently in their own plans, and share with me why they felt they had a solid marketing plan that would be successful within the $25,000 spending limit. Cross-curricular lesson designing for "Hidden Figures"
As I started discussing "Hidden Figures" with other educators, I knew it was something that I wanted to see with my students and I knew there would be a great deal of educational value to it. I teach eighth grade history and language arts, as well as a pre-algebra to a group of primarily seventh graders. Obviously, we can't just go to a movie for the sake of going to a movie. It becomes a foundation for some lessons. The wonderful thing about this particular film is the ability to reach across curricula. Both seventh and eighth grade students will gain from seeing the movie, but it is how I use it as a "launching point" (pun intended) for learning that will make a significant difference. A series of lessons will reach across Language Arts and History. Students will have the opportunity to read a biography on an influential person from the 1960s (of their choosing). 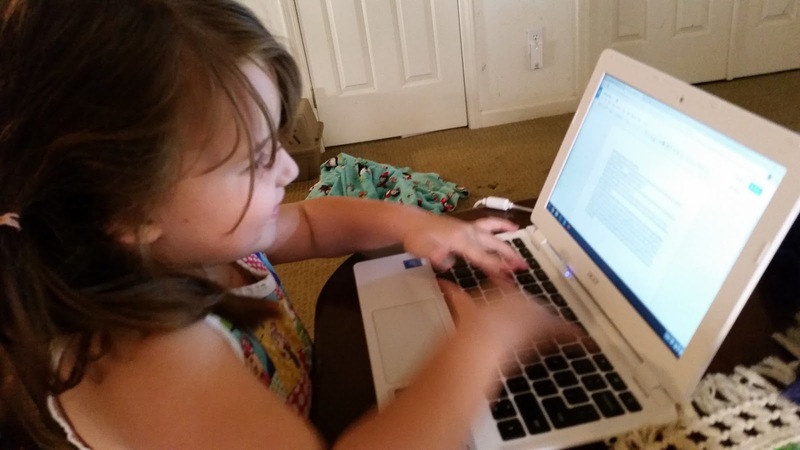 They will also write an essay on how STEAM has changed the world over the course of the last 50 years and how they see STEAM changing the world over the course of the next 50 years. Before we see the film, we will do some reading of biographical literary criticism and will write a biographical narrative. The film will help tie our biographical lessons together. In the meantime, math students will apply their math skills to rocket launching. First, I will model rocket launches with air and/or water rockets and students will make observations and analyze data. Then, they will work to design and create their own rockets. We will launch the rockets and collect data that they will then discuss and analyze. They will apply their math skills both in designing the rockets and in their data collection and analysis. I sought out various resources particularly for the rocket lesson and project. What I found especially wonderful was the amount of resources NASA has available for educators and students. Additionally, there are fantastic biographical pieces on the people featured in "Hidden Figures," including John Glenn and Katherine Johnson. The goal: students will have multiple educational experiences that will teach them language arts, history, and math. It will, of course, also incorporate science. Once upon a time, I taught eighth grade science. It provided such a rewarding experience for me and the students. Teaching middle school when students change classes makes things a little trickier when planning cross-curricula lessons, however, it can and should be done. Just as I incorporated ELA into my science lessons, I can incorporate science into my ELA and history lessons. Later this year, I will rework my science-based Sci-Fi unit into a language arts unit. One more reason to love STEAM! That "A" that transforms STEM to STEAM can make some serious magic happen. I once had a student declare that "learning isn't supposed to be fun" and it baffled me. In fact, it admittedly saddened me to some degree. My experiences both as a student and as an educator tell a different story and I hope that lessons like these will show students that having EduAwesome Adventures help them learn more and differently. How are you using "Hidden Figures" to support learning with your students? What new lessons have you tried to start 2017? 2017 is off to a great start for us and I hope it is for you too! This weekend includes snow plans and an MLK Day mini-hike. Stay tuned for more on those and for a report on the outcomes of the lessons highlighted here. As I reflect on 2016, I see highs and lows. 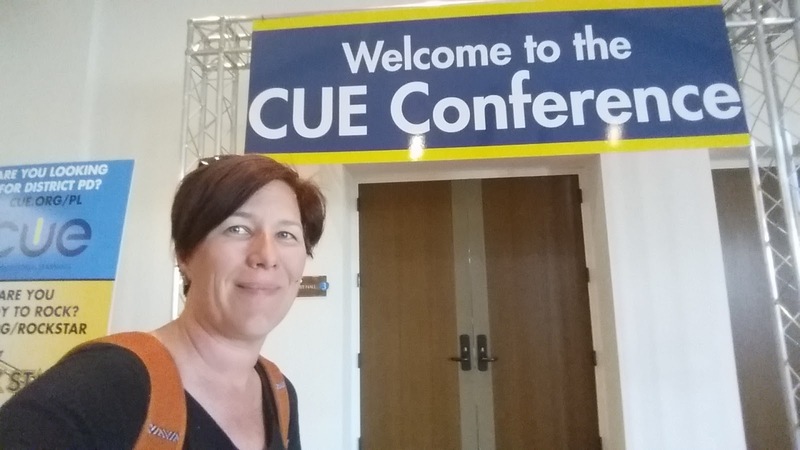 I was excited to present at CUE affiliate conferences such as ETC! 2016 and CVCUE's EDventure. I also had the honor of being a presenter at Fall CUE. That provided both a high and a low. I met great people and gained so much more than I can express here, but I also had only six people attend my presentation which threw me. However, I gained from the experience and I gained from their feedback. 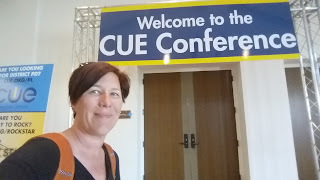 Later I would learn that I had been selected to present at the CUE National Conference and that was HUGE for me! Wahoo! I learn from both my accomplishments and my failings at presentations. I learn how to make them better and I learn hat works. It makes me a better presenter, but also a better educator and for all of that I am grateful. Going into 2017, there is much #EduAwesome #Adventure to look forward to, but at the top of the list is that which I am developing with my young son: If You Give A Kid a Camera. It will be presented at a CUE Rockstar in the late spring with him by my side, but we are first developing it for me to present at the ETC! 2017 conference. We, in fact, worked on some additions last week as we hiked together at our family Ranch. Let me tell you, if you give a kid a camera...magic happens. Hikes happen from a completely different perspective, learning happens, adventure happens. And, you learn to relinquish come control and allow all of that to happen magically. 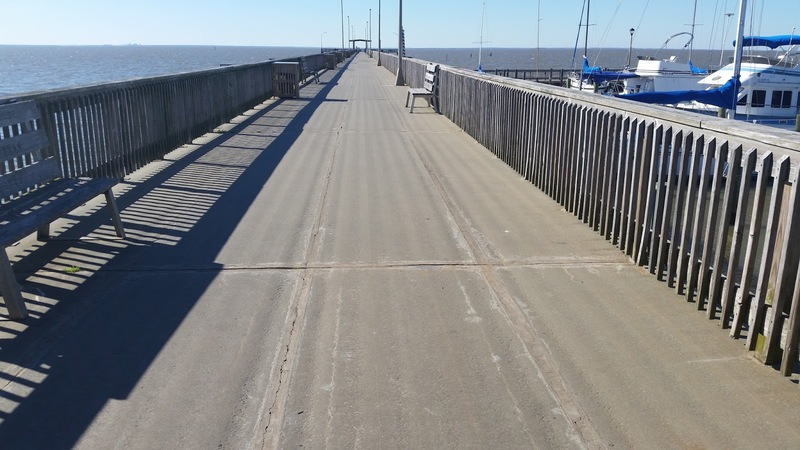 In 2016, I created my own #EdTechRoadtrip and traveled to Southern Alabama where I learned from other educators. I documented what I could with photographs in a Shutterfly book after documenting here on this blog. It was amazing! I also experienced a different part of the United States in the process. For that, I am grateful and yearning to return. Later in the year, I I extended the #EdTechRoadtrip and visited a Google campus in Seattle. I explored, I learned, I shared, I took in as much as a could. Then I brought it home. I started out 2016 as an EdTech Coach and Technology Teacher at a small private school. I closed out the year, returning tot he classroom at a small country/charter school. It was the most amazing transition! I found myself. I have reach students. I have extended the teaching I know works and I have seen it work more extensively. I have built rapport with students, colleagues, and administration. I am right where I am supposed to be and there is no doubt in my mind about that. I closed out 2016 with my brother who is an officer in the Navy, my cousin who works in the Turf Library at Michigan State, and my younger cousin who is a sixth grader. We shared great stories, accomplishments, and things we look forward to in the months ahead. I've mentioned before that I come from a family of educators, but I also come from a family of learners. I turn 40 this year which means a great deal to me. I have goals to reach and things to accomplish, but that means more than just me doing things. That means great things for my students, and my colleagues. I hope they see the benefits of my efforts to be the best I can be. And I hope my students learn from my example and strive not only to do their best but to be the best. Because they can be the best and I will do everything I can to help them realize that.